Munaluchi Bride's upcoming issue does not disappoint, they have created such a stunning cover (and publication) that is sure to inspire. 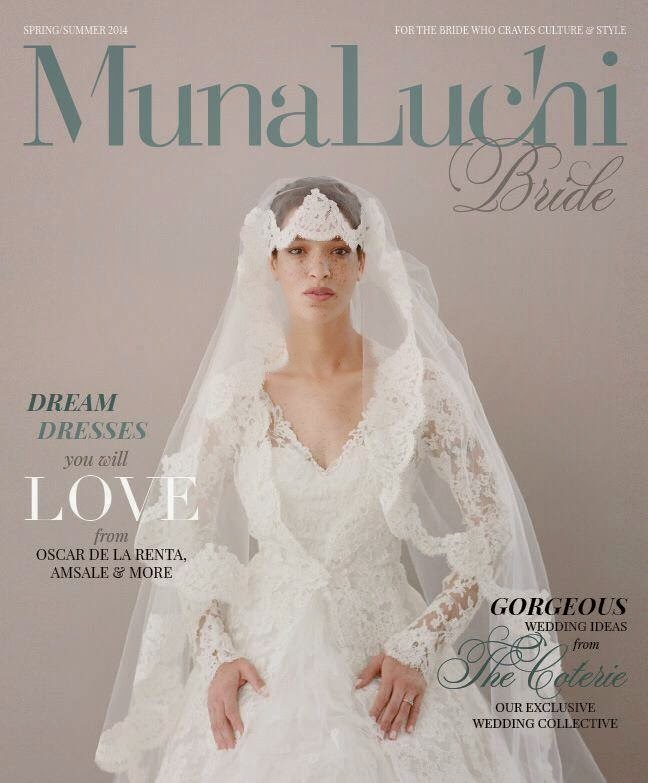 The cover photographed perfectly by ElizabethMessina features a gorgeous lace gown and veil from Oscar de la Renta. The issue hits newsstands tomorrow, Tuesday May 6th* be sure to pick up a copy! *Update: New issue will now hit newsstands Tuesday May 13.